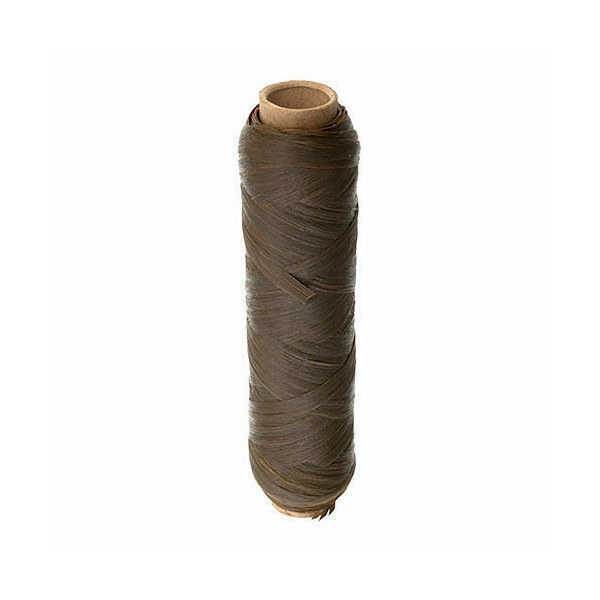 A unique stringing material traditionally associated with native crafts and leather work. 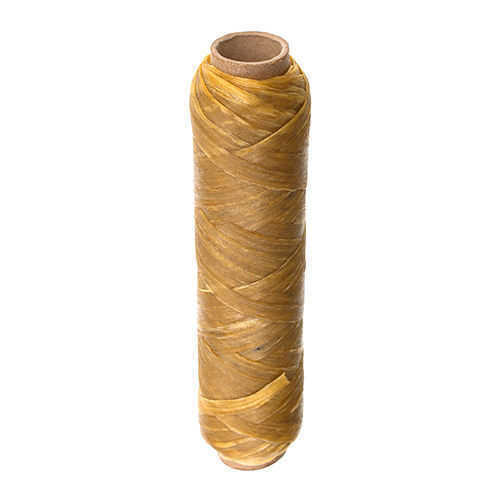 Artificial sinew, also called imitation sinew, comes from manmade fibers such as polypropylene, nylon, and polyester. Unlike natural sinew, it has a uniform waxy texture, comes in many colors, and can be cut to any length. It is super strong and can be split into narrower widths and sewn with a split stitch just like raffia.